First, the nation's official language is Portuguese, with most Cape Verdeans speaking one of two creole dialects. The title of the song, Un Perde Cheu, translates as, "I Lost a Lot," but I'll leave it up to someone more proficient in the language to translate the verse that Chachi spits in Portuguese. Second, the island is perhaps most well-known for morna, a form of music that falls somewhere in between folk music and blues. 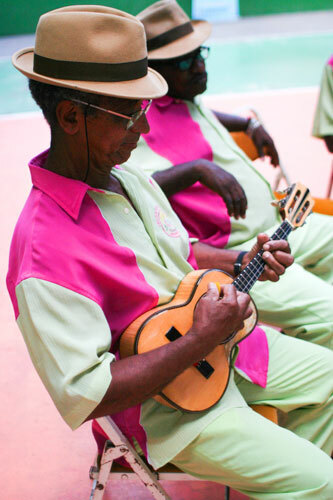 Morna relies heavily on violins and the cavaquinho, a small Portuguese guitar that is also used quite often in songs coming out of Brazil. 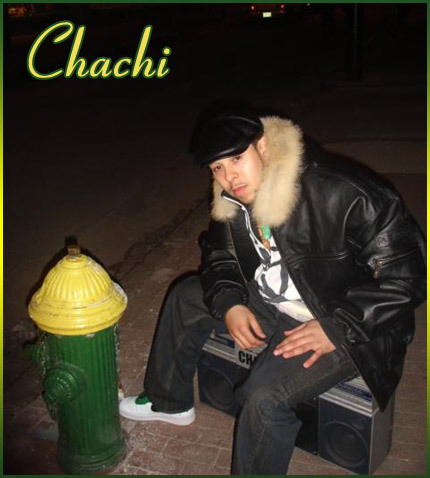 You can read more about Chachi, who's been featured on this site numerous times, in our archives. Then stop by his MySpace page for more music.